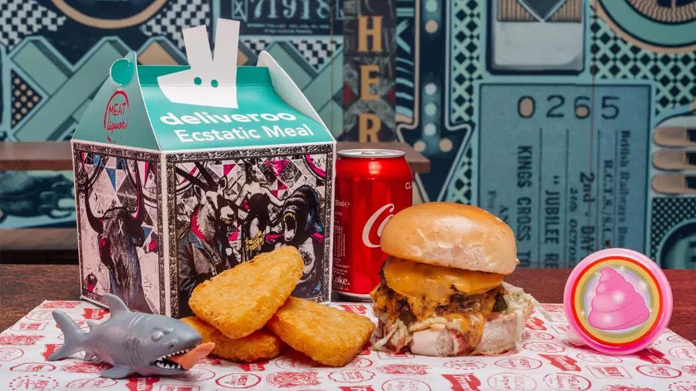 We love a good seasonal story for Deliveroo – showing that we’ve got something for every night of the year. So with our second story of the week for the brand, we’ve been hitting the phones and nailing the coverage for them all over again. It’s January. You’re likely feeling a wee bit under it – what with the bills to pay, the weather still pretty crumby and Christmas but a distant memory. So we’ve just worked with two Hope&Glory clients – Deliveroo (of course) and the good people at MEATliquor – to create the Ecstatic Meal. As the media reported it, it’s like a Happy Meal but for grown-ups. With a Dead Hippie, hash browns and a drink all for the princely sum of £2.69, it pretty much cleaned up media-wise. There were pieces across the Evening Standard, The Sun, Daily Mirror, TimeOut, Eater, Shortlist, and a bunch of others besides.